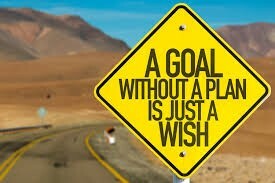 Goal-setting is important for every company or organization in every stage of business, regardless of size. If you are not setting goals for yourself, your company and your employees (if you have them), it is easy to become stagnant in your business, and stagnancy is often the beginning stage of failure down the road. Your goals should grow and change with your business, so you are always striving to do things more efficiently and accomplish more than before. Without goals and a process for tracking the actions you need to take to reach those goals, you won’t know where you’re going or how you will get there. Your goals help you build a bridge that can get you from where you are right now to where you want to be. You have probably heard of the need for SMART goals. SMART stands for goals that are Specific, Measurable, Attainable, Relevant and Time-Based. But often the difficulty isn’t in setting your goals, it’s in measuring them, tracking your progress and knowing when the goals have been accomplished. Ultimately, goal-setting is something you do on a regular basis for the life of your business, not just when it’s a new year. If you are new to goal-setting or if you’re a seasoned pro, having some kind of system for setting and tracking your goals is critically important. A cursory search on the Apple APP store on your iPhone will bring up hundreds of goal-setting apps that will help you create, track and achieve your most important goals. Regardless of whether you monitor your progress on your phone or desktop (or even using old-school paper and pen), the key is to use the tool that will best help you focus and achieve even your most ambitious goals.